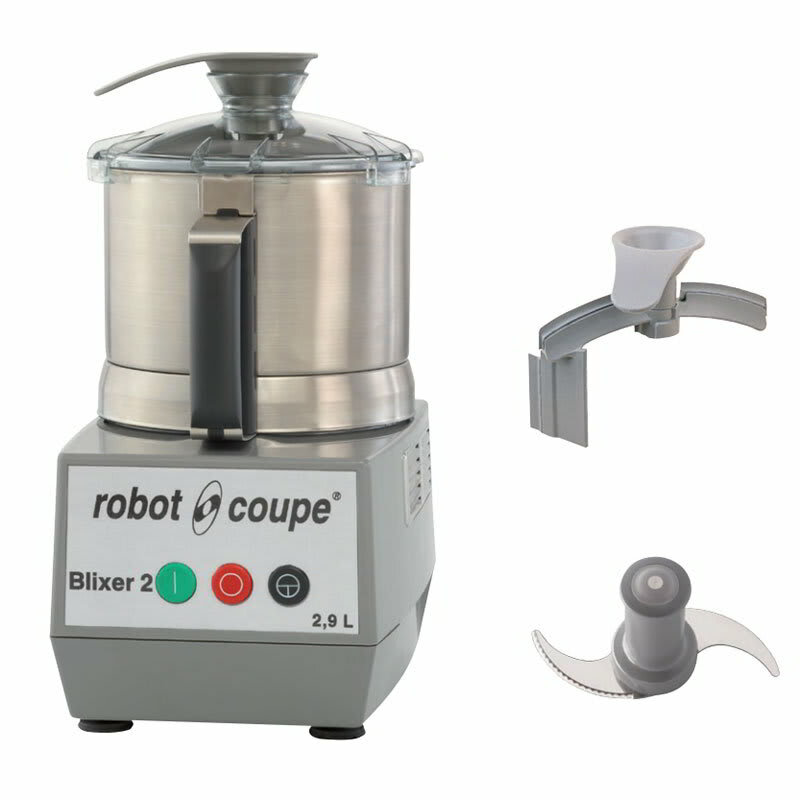 The Robot Coupe Blixer 2 blender mixer offers a safety device fitted to the lid to prevent access to moving blades, ensuring safe usage. This blender mixer has removable parts to ensure quick and complete sanitation. The durable lid with leak-proof seal prevents messes. This blender mixer features a scraper arm and clear lid that allows the user to monitor processing progress. Bowl and lid scraper improves turbulence, providing a smoother end product.